Tonbridge and Tunbridge Wells Compilation CD compiled from a Kelly’s Triple County Directory of 1907. 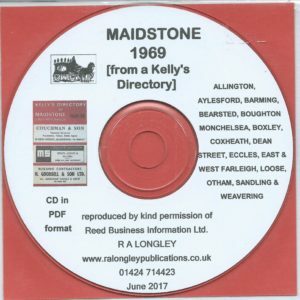 By kind permission of Reed Business Information Ltd. Includes Private Residents Directory and the Trades and Commercial Directory. A compilation CD for Tonbridge and Tunbridge Wells for the year 1907.